Case Interview Math is about analyzing data to help you create an informed recommendation to solve a case. You probably already know how to multiply, add, subtract, divide, and understand the concept of percentages. But, you need to understand what the math and the results mean. Often candidates without business backgrounds or first-timers of case interviews misunderstand the whole concept behind the case interview math. They fail to see the purpose of the interview or the implications of the calculations. Case interview math is not difficult, but the analysis may be. If you have a firm understanding of the terminology and equations that you will encounter, it will help you understand the purpose of the math that you are doing. 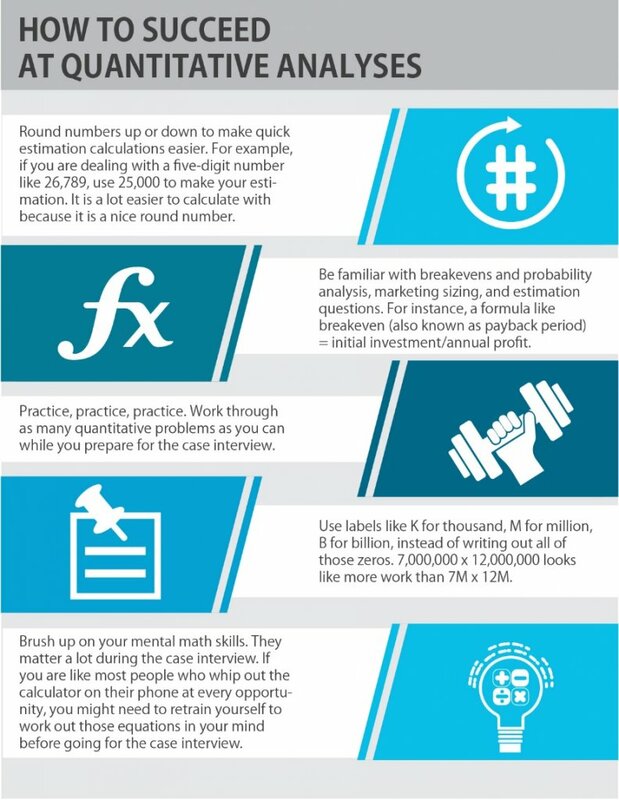 Below are several resources to help you improve your math skills and pass the case interview. It is important to develop your basic math skills to a high level of proficiency while under the pressure and stress of an interview. The best way to do that is to practice your math skills while timing yourself. Access my free math practice site to increase your speed and accuracy while being timed in case interview math. Just use your CaseInterview.com login credentials for free access. Learn how to do case interview mental math fast, accurately, and while under enormous pressure. This is my Comprehensive Guide to Case Interview Math, for candidates with limited business backgrounds. I can hardly overstate the importance of getting the math right: the feedback on my 35+ (practice) interviews was consistently good regarding my math skills. Thinking out loud, calculating out loud, making clear notes and calculations have really helped me to involve the interviewer into the case. Your math tool on the website has actually been the sole resource I used to improve my math skills. After my first round interviews, I was told to focus more on my math (I was a bit slow and made some small, but still unacceptable mistakes) so over the course of 3 weeks, I practiced math on CaseInterviewMath.com by doing about 6 tests a day. I started off at 94% accuracy and 7 questions/minute then maxed out at your record of 100% and 18 questions/minute. This DEFINITELY helped me do math accurately and simulated the stress I felt during the interviews.